Today I rebuilt Lis’s booth table in preparation for her fair next weekend. 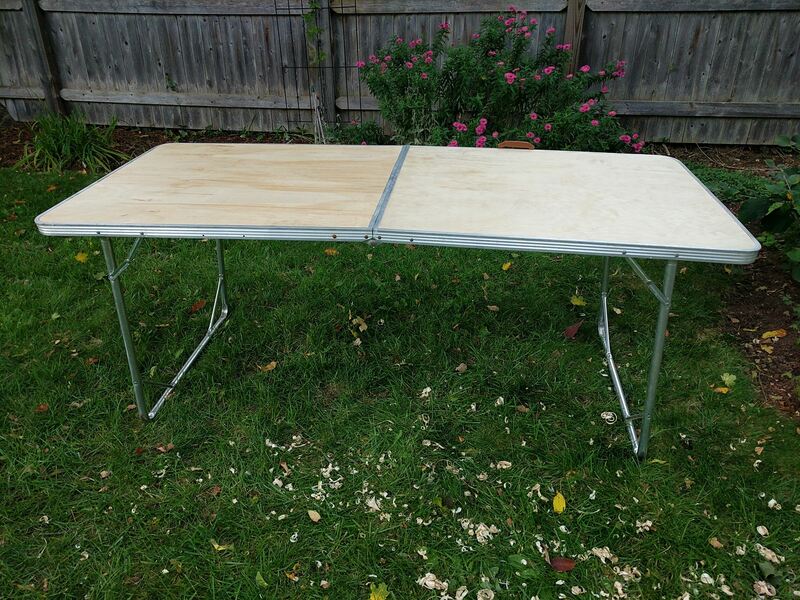 This 40-year-old aluminum table is light, easy to carry, and about the right size. But its pressboard top had become warped and unstable, so I replaced it with thin plywood. We’ll see how it goes!